If you need to get your Acura TLX, Acura RDX, or certified pre-owned vehicle serviced but you don’t want to break the bank, you’ll want to rely on the Acura service coupons and specials here at Weir Canyon Acura in Anaheim, CA. Whether you choose an Acura A1 service coupon or Acura B1 service coupon, our state-of-the-art service department will get you in our bays and out on Tustin roads in a jiffy. Explore our auto service coupons and specials here, and then schedule service today. Our easy-to-use schedule service form simply requires you to enter in basic vehicle information, including your VIN number, so our trained service technicians can handle your Acura with utmost care. Tax not included, Acura vehicles only. Some models are additional. May not be used in conjunction with any other specials or discounts. No cash value. May not be used on previous charges. Valid only at Weir Canyon Acura. Tax not included. Acura vehicles only. Some RDX models are additional. May not be used in conjunction with any other specials or discounts. No cash value. May not be used on previous charges. Valid only at Weir Canyon Acura. Tax not included. Acura vehicles only. Some models are additional. May not be used in conjunction with any other specials or discounts. No cash value. May not be used on previous charges. Valid only at Weir Canyon Acura. 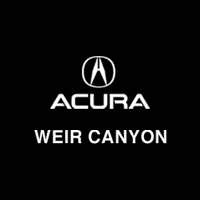 Take Advantage of the Service Coupons at Weir Canyon Acura Today! Questions? Contact our service department today!